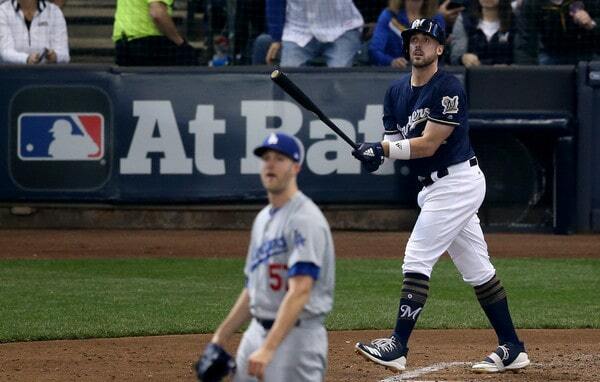 John asks: Do you think the Brewers would make Travis Shaw available? He fits the Yankees great as he’s a good fielding third baseman with left-handed power who walks a lot. Also good first baseman and decent at second. He’s way cheaper than Machado. If Brewers are still interested in Sonny Gray, plus? What do you think gets this done? Shaw’s turned into a much better defensive third baseman than I think anyone expected. The scouts and statheads thought he’d be average at best. Instead, the numbers have him comfortably above-average, so much so that the Brewers played him at second base following the Mike Moustakas trade. Moustakas is a free agent this winter and I’ve been assuming the plan is to put Shaw back at third and Jonathan Schoop at second next year. Anyway, Shaw turns 29 in April and he’s under team control another three seasons, and he hit .241/.345/.480 (119 wRC+) with 32 homers and an 18.4% strikeout rate this season. He’d be a real nice get for the Yankees. Put him at third, at first, whatever. Will the Brewers trade him? They just had the best record in the National League and went to the NLCS, and they’re going to try to win again next year. If they are open to trading him, I would think Sonny Gray would be the second piece in a trade, not the headliner. If it were Gray and someone like Chance Adams, I’d do that in a heartbeat and the Yankees would as well. The non-Gray portion of the package might have to be significant. Dan asks: Is it possible that some of these free agent players might not get as much money or years as we are all assuming? Which teams are going to pay Harper or Machado 300 plus million? A lot of teams are at the top of their payroll limits, not contending, or are smaller market teams that probably can’t swing a contract like that. Every team can afford to pay Bryce Harper or Manny Machado north of $30M a year. Every single one. MLB teams are very good at convincing fans they don’t have as much as money as they really do. Harper and Machado are going to have, among others, the Yankees, Phillies, Cubs, and Dodgers after them. Can’t rule out the Red Sox, Nationals, Astros, Rangers, Giants, and Mariners either. Those two are not normal free agents. They are on the very short list of the best players in the world and they’re both only 26 years old. It is not often a prime-aged superstar hits the open market. I could see this argument for a second tier free agent like Patrick Corbin (will any team really give him $120M?) or Dallas Keuchel. Harper and Machado? Nah. They’re special cases. I expect both to break Giancarlo Stanton’s record for guaranteed money (with some opt-outs thrown in). Hugo asks: Any chance the Yankees could move Andujar to second? Torres as a SS and then sign a 3B until DD returns. I can’t see it. Miguel Andujar does play on the right side of the infield as part of the shift, but I don’t think he could do it full-time. The biggest knock on him defensively is his range, so moving him to the middle infield seems like a recipe for disaster. I suppose the Yankees could try it in Spring Training. What’s the worst that could happen? *suddenly remembers Rob Refnsyder taking grounders to the face when the Yankees tried him at third* It just doesn’t seem to me that Andujar has the skills for the middle infield. His range is limited and I have no idea how he’d handle the double play pivot. If the Yankees are going to move Andujar off third base, a move down the defensive difficulty spectrum to first base or the corner outfield seems most likely. Douglas asks (short version): Given how often the Yankees were down to a 3 man bench in recent years and every team’s love for a Ben Zobrist-type player, do you think we’ll eventually see the day where backup catchers are asked to play at least one position in addition to catcher? I know in recent years, Gary Sanchez and Austin Romine have faked first base but do you think we’ll eventually get beyond that? Teams could try, but most catchers aren’t mobile enough to play other positions besides first base. Imagine watching some of these dudes try to chase down balls in the outfield gap? Goodness. Willson Contreras has played some left field and Austin Barnes has played some second base, though they’re really bad at it. Tony Wolters has also played some middle infield for the Rockies. The best example of this “backup catcher who can play other positions” concept might be Isiah Kiner-Falefa with the Rangers. He came up through the minors as a utility infielder who dabbled behind the plate, and this year he played at least 20 games at catcher, second base, and third base for Texas. Teams are always looking to increase versatility and we could see an increased effort to develop catcher capable utility guys. It’s just really hard to play the position well though. Guys who are good enough to catch tend to stick at the position because it’s very hard to fill and clubs want as many options there as possible. John asks: If the idea is to go with a glove first, no bat SS, why not Kyle Holder? The Yankees are trying to win and they need to do better than Holder. He’s a stud defensively, he could play shortstop in the big leagues right now and be very good at it, but I don’t think the bat is close to ready. Holder hit .257/.317/.350 (88 wRC+) in 48 games at High-A and Double-A around injuries this year. Put him in the big leagues next year and his slash line probably starts with 2s across the board. (For what it’s worth, PECOTA projected Holder as a true talent .234/.270/.360 big league hitter in 2018.) I do expect the Yankees to put Holder on the 40-man roster and protect him from the Rule 5 Draft this winter, but if the Yankees are going all-glove/no-bat at short next year, it seems to me the better move would be to re-sign Adeiny Hechavarria or sign Jose Iglesias, get as good (likely better) production at a low cost, and let Holder continue his development at the appropriate minor league level. 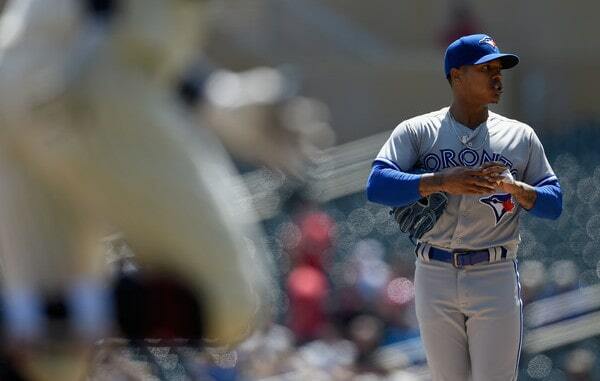 Bertin asks: How much more value does two years of Marcus Stroman have than one year of Sonny Gray? As bad as Gray was in 2018, Stroman was even worse, but where Stroman’s problems can be attributed to his recovery from injury, Gray appears to have had a complete and total mental meltdown. Stroman had a 5.54 ERA (3.91 FIP) with his typically excellent ground ball rate (62.1%) in 102.1 innings around shoulder trouble this year. His strikeout rate (17.2%) was a career low and his walk rate (8.0%) was a career high, though they weren’t that far out of line with his career norms. I’d definitely bet on Stroman rebounding next year before Gray. A Yankees-Blue Jays trade would be complicated — this wouldn’t be a non-contender trading an impending free agent like the J.A. Happ deal — but I really like the idea of buying low on Stroman (he’s short and from Long Island and went to Duke, you know). Could the Yankees build a trade package around Gray? Eh. Hard for me to see why the Blue Jays would trade two years of Stroman for one year of Gray without getting significant secondary pieces as well. Seth asks: Am I crazy to think that Gio Urshela would be a perfect Andujar defensive replacement/backup infielder? Great defender and he actually hit in Triple-A with Scranton. Well, Urshela hit well with Scranton (129 wRC+), but his track record suggests he’s nothing more than a Quad-A hitter. Which is fine for a bench player, I think. I wouldn’t want him playing everyday even with his glove. As a bench guy though? It could work. If the Yankees shift Gleyber Torres to shortstop and replace Didi Gregorius with a second baseman, they’d need a shortstop capable infielder on the bench. Urshela can do that. He’s played a bunch of shortstop over the years. I don’t know that I’d call him (or anyone, really) the perfect backup infielder, but Urshela could work in that role, sure. Matthew asks: With talks about the Yankees going after Patrick Corbin and J.A. Happ, and Sabathia probably coming back, that leaves 3 lefties in the rotation. Not to mention Montgomery at some point. How many lefties do you really think we will have. Meaning, do the Yanks sign Corbin and Happ and Sabathia, or just 2 out of 3. Does it even matter? I wouldn’t worry about it at all. Get good pitchers regardless of handedness. Besides, the Yankees need quality lefties in their rotation to (hopefully) limit the damage caused by the short porch. The history of the Yankees is littered with dominant lefty starters. Whitey Field, Ron Guidry, Andy Pettitte, CC Sabathia, etc. If the Yankees have three or four lefties in the rotation at some point, so be it. Not worried at all. It’s not like Patrick Corbin (tons of sliders), Happ (tons of fastballs), Sabathia (cutters and sliders), and Jordan Montgomery (kitchen sink) are similar in style. They just throw with the same hand. Not worried about #toomanylefties at all. Zachary asks: Looking to the off-season, it would appear the Indians could use a solid regular outfielder, while the Yankees could be in the market for pitching. Judge and Stanton aren’t going anywhere, and Frazier was already dealt from Cleveland, but would Cleveland have interest in Hicks? What would a deal look like given Hick’s looming free agency? I am certain the Indians would have interest in Aaron Hicks. I am certain a lot of teams would have interest in Aaron Hicks. Switch-hitting center fielders with power and on-base ability and above-average defense are incredibly valuable. The Indians don’t have a clearly defined center fielder right now (Bradley Zimmer had major shoulder surgery in July to treat an injury initially suffered on a play at Yankee Stadium) and their window is starting to close. They have to win right now and Hicks would improve their chances of winning the 2019 World Series considerably. The Indians have five quality starting pitchers in place for next season (Corey Kluber, Carlos Carrasco, Trevor Bauer, Mike Clevinger, Shane Bieber) and the Yankees should start any conversation with those dudes. Obviously Kluber and Carrasco are incredibly unlikely. Bauer’s an insufferable tool, which leaves Clevinger and Bieber. If the Yankees are going to trade Hicks, that’s where they have to start. Ask for the young starting pitcher and find out what needs to be added to get a deal done. Also, shop Hicks around! If the Yankees are open to trading him, they have to canvas the league for the best deal, not focus on the Indians just because they happen to need a center fielder. Jeff asks: Would the Yankees have had any interest in Alex Cora last offseason? If NYY lost to MIN in the WC game, could/would they have beaten BOS to the punch? It’s impossible to say whether the Yankees would’ve had interest in interviewing Cora last winter. Given their list of managerial candidates (largely younger new school types), I think they would’ve expressed interest. Cora’s name had been circulating in “potential future manager” circles for years. He wasn’t a surprise candidate. Cora’s had the golden touch this year. Every move is working and he’s managed circles around everyone (Aaron Boone, A.J. Hinch, Dave Roberts) this postseason. Had the Yankees been knocked out of the postseason earlier, yeah, maybe they could’ve beaten the Red Sox to Cora. We’ll never know for certain though.